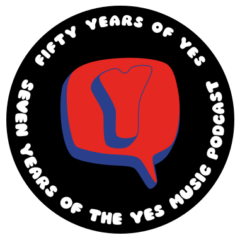 The eighty-eighth episode of the Yes Music Podcast featuring The Yes Alphabet – ‘L’. Listen and then let me know if I have missed out any of your letter ‘L’ suggestions by contacting me via any of the different routes on the right hand side or by leaving a comment below! Which tracks and albums begin with ‘L’? Who or what is ‘Longwalker’? Which legendary letter ‘L’ almost takes his place amongst the ranks of band personnel?